Antihero Magazine‘s James Geiser spoke with vocalist Theresa Jeane of The Nearly Deads. Check out the interview here!! 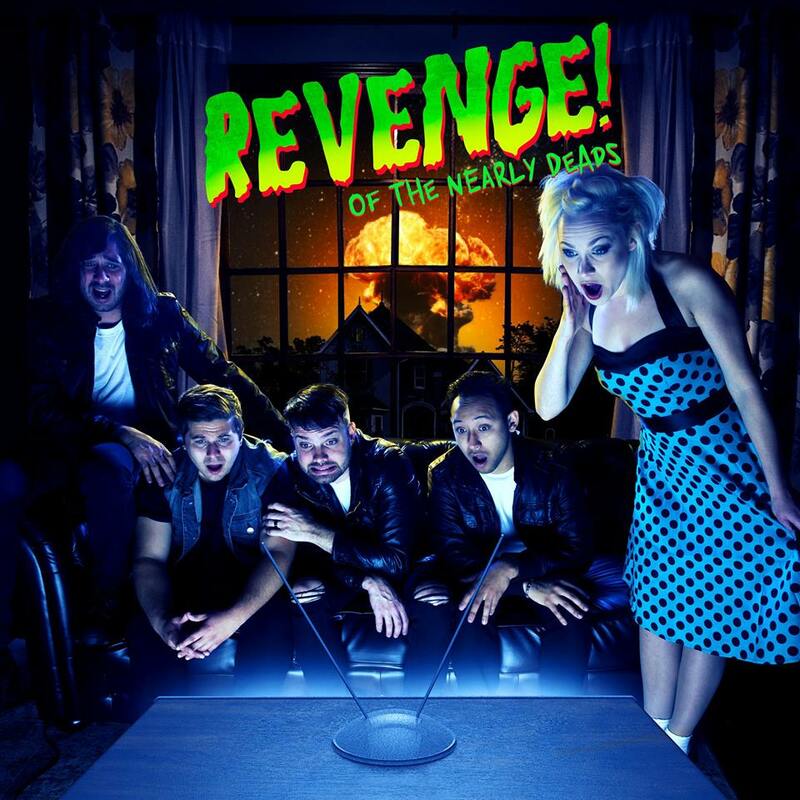 Rising Nashville rock band The Nearly Deads have released their hotly-anticipated new EP, Revenge of the Nearly Deads, on vinyl, CD and digitally for purchase and stream via Kobalt Music. Led by the inimitable vocalist Theresa Jeane along with Steven Tobi (guitar), Kevin Koelsch (bass), Javier Garza Jr. (guitar) and Josh Perrone (drums), The Nearly Deads are one of the hottest, rising rock bands to come out of Nashville. The band’s amalgam of powerful pop vocals and aggressive alternative rock music combined with their love of all things geek and messages of positivity and empowerment creates a truly unique style that’s garnering attention from media and fans around the world. Their lyrics inspire and motivate with themes of moving on, taking control of your life, and being unapologetically true to yourself. The band are fans of movies, video games and other pop culture media and like to reference their favorites in their music, videos and merchandise. This is something their fans, who are referred to as “zombies”, love about them and it has helped them make a deeper connection to them. With that said, the band had viral success of their zombie fueled video for “Never Look Back” at over 7 million views! TND have toured with bands In This Moment, Butcher Babies, Upon A Burning Body, Stitched Up Heart, Eyes Set to Kill, and opened for Halestorm as well as All American Rejects. They have also played Warped Tour, Summer Fest, Rock Fest, Journeys Back Yard BBQ and Pride Fest. The band who has several successful campaigns reaching well over their goals, is currently gaining massive traction with their smash hit song “Diamond In The Rough,” while their video for “Evil Ways” is already at over 600k views.